Start by copying the EXE file into the SCSM VM. 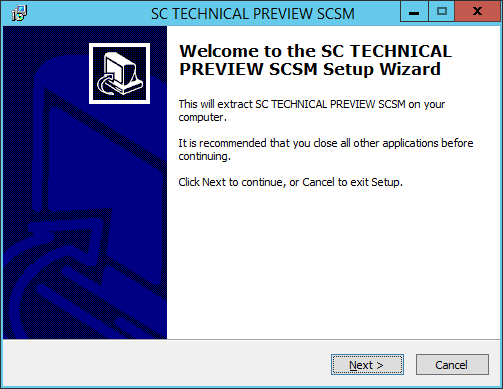 As of this writing, the Technical Preview EXE is labelled as “en_system_center_technical_preview_service_manager_x86_x64_5650108“. On the Location screen, choose the location to extract the installation files, then click Next. 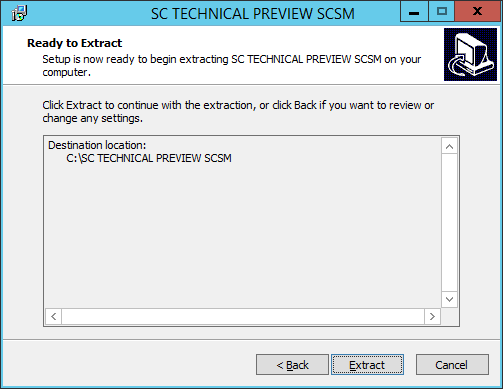 On the Ready to Extract screen, click Extract. On the completion screen, click Finish. Once the files are extracted, start the installation by running Setup.exe. On the Product Registration screen, enter the applicable information, including reading and accepting the license terms, and click Next. On the Installation Location screen, you can change the install location if you want to, or accept the defaults, then click Next. From my personal experience, I have seen setups in Production environments have a dedicated HDD for the Operating System, and another for middleware. The Prerequisite check will run, and inform you of any issues found. If there are issues detected, resolve them as indicated, and then click the Check Prerequisites Again button. Until everything passes (or if there are only Warnings left), you will not be able to continue with the installation. Once the prereq check passes, you can click Next to continue with the installation. 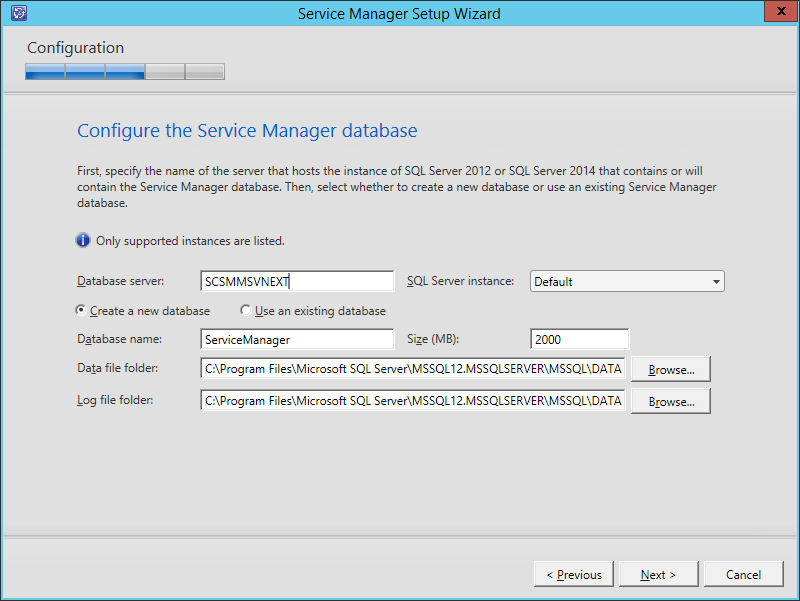 On the Service Manager database screen enter the SQL server name and select the appropriate instance, then click Next. 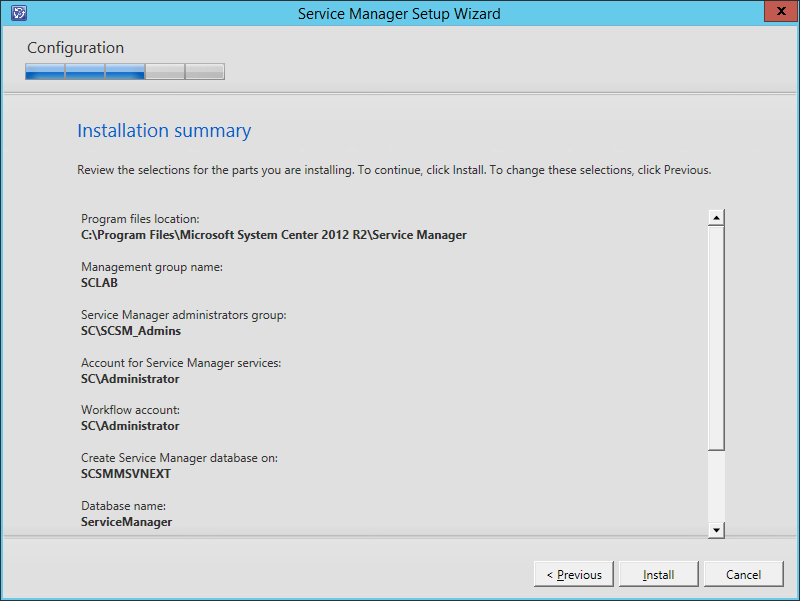 For this lab example, we are installing the Service Manager database on the same server as the Service Manager Management Server. 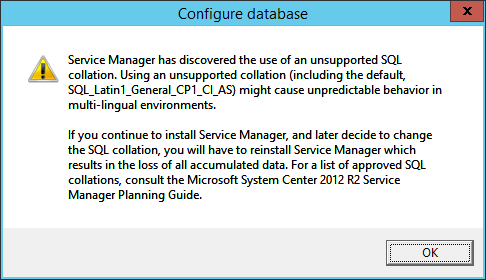 NOTE: You may encounter the following error when you get to the Service Manager Database screen. To understand more about this, see this TechNet article. According to Microsoft: “You can bypass this warning message and continue to install using the SQL_Latin1_General_CP1_CI_AS.” Read the article so that you are aware of why this occurs, etc. 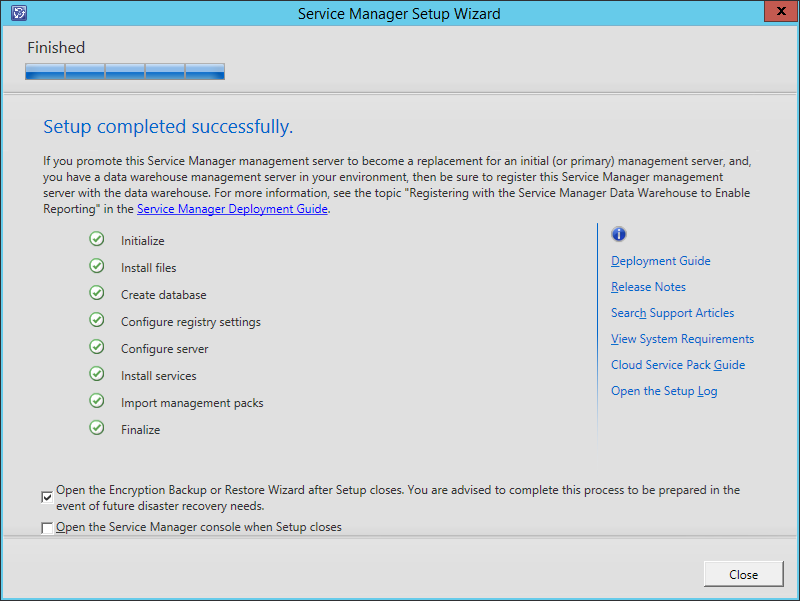 This is particularly important if you plan on using Service Manager’s CMDB in connection with System Center Operations Manager (SCOM) and/or System Center Configuration Manager (SCCM). When you encounter this Warning, just click OK.
On the Management Group screen, provide a Management Group Name, and also add Group Administrators. 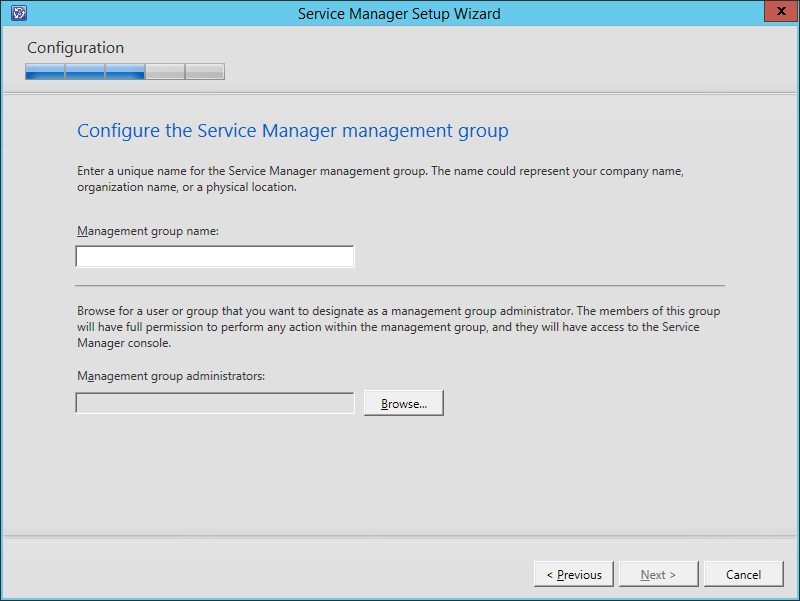 It is easier if you create/add an Active Directory Security Group and add it as the Management Group Administrators, so that all you have to do is add users to the Security Group. Then click Next. 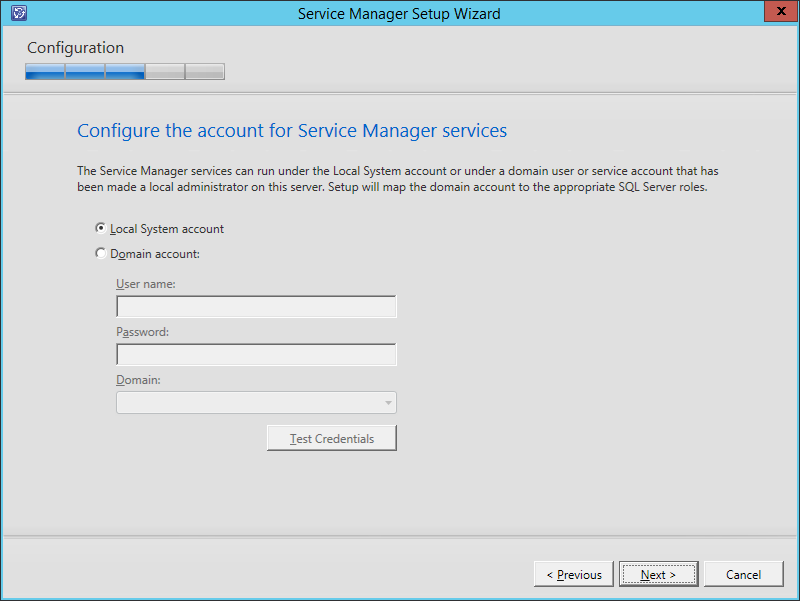 On the Service Manager Services screen, either accept the default of Local System Account, or choose to provide a Domain Account. NOTE: If you choose to use a Domain Account, the Next button will be disabled until that account is successfully tested (via the Test Credentials button). Make your applicable choice, and then click Next. On the Service Manager Workflow Account screen, either accept the default of Local System Account, or choose to provide a Domain Account. On the CEIP screen, you can choose to join the program or not. There may be concerns about sending Production-type data to Microsoft, however, I recommend joining the program as this is how Microsoft improves their software. If no one sent their experience information, then the tools we use would never be improved. Mark your choice and then click Next. 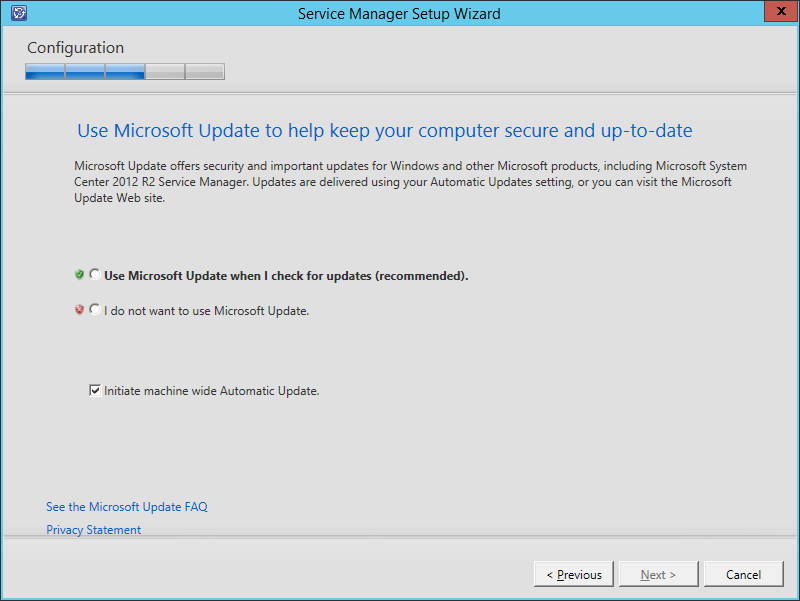 The Microsoft Update screen is new to System Center. Make your choice and click Next. Review the information presented on the Summary screen, and click Install. 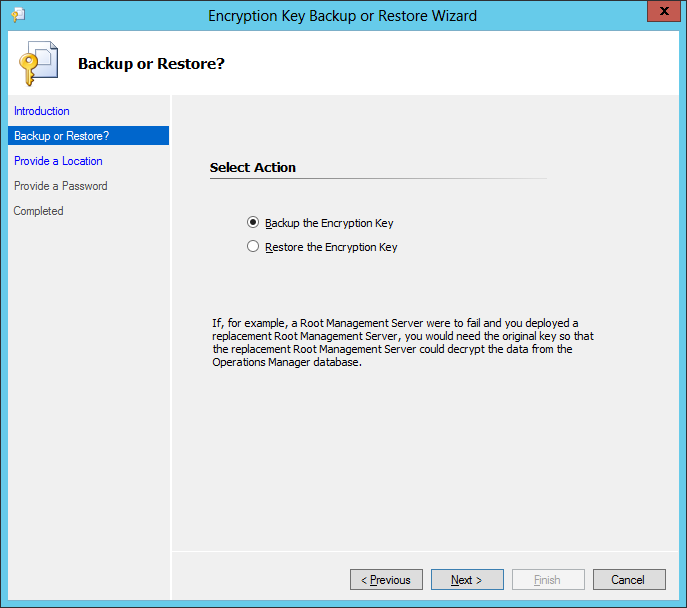 Once the installation in complete, ensure that the ‘Open the Encryption Backup or Restore Wizard after Setup Closes’ checkbox is selected. 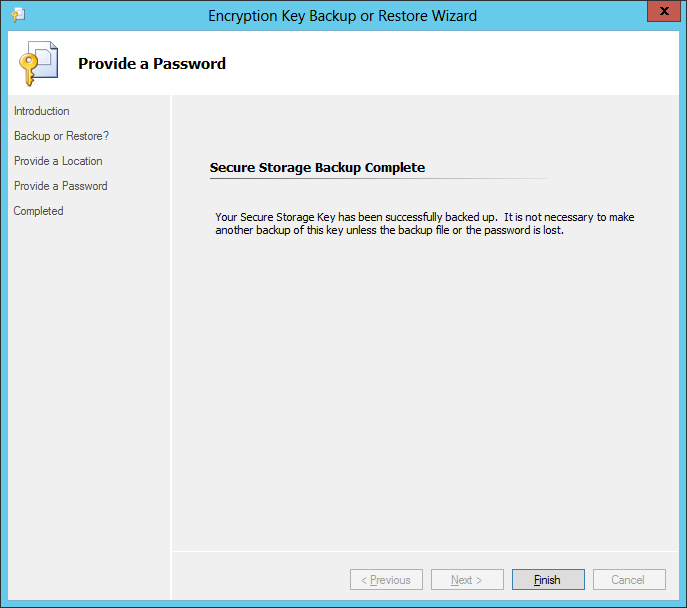 It is recommended to backup the encryption key as part of your disaster recovery planning. 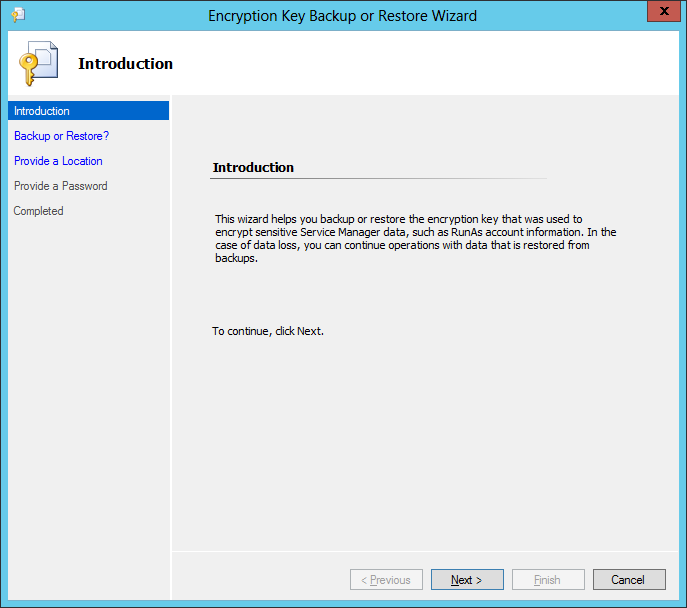 When the Encryption Key Backup wizard launches, read the Introduction information and then click Next. 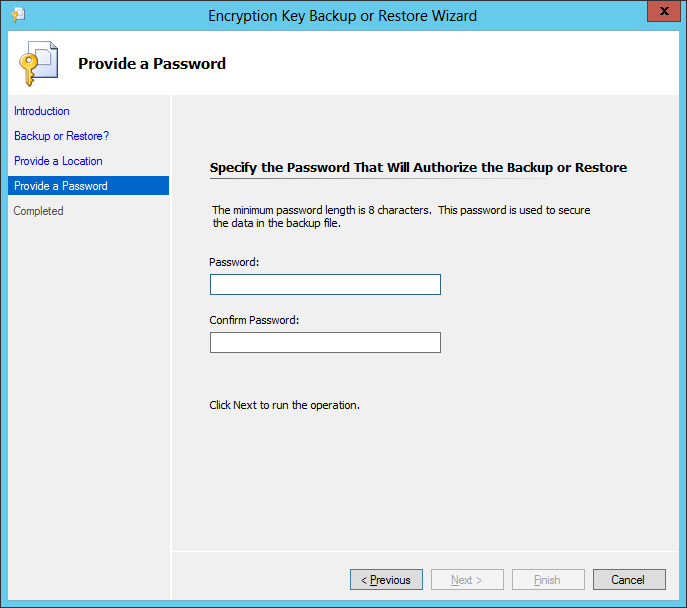 On the Backup or Restore screen, select ‘Backup the Encryption Key’ and click Next. 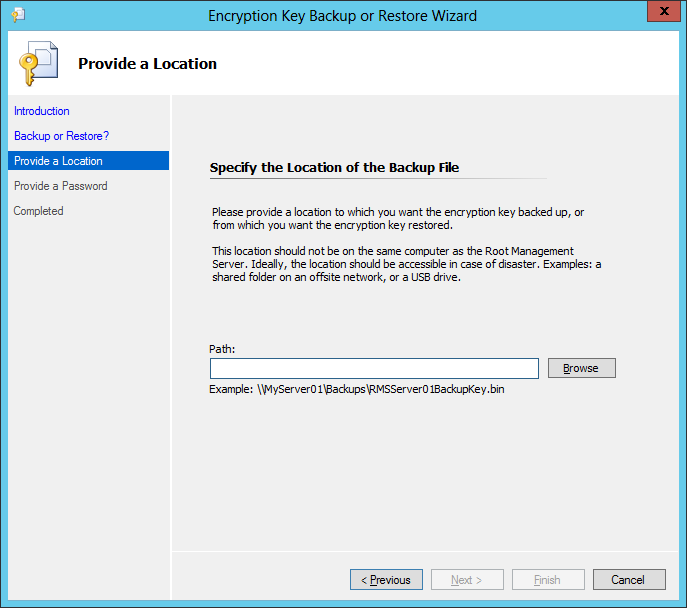 On the Provide A Location screen, it is recommended to store the Encryption Key backup in a secure location (i.e. a file server that is regularly backed up). Enter an applicable UNC path, along with a filename, and then click Next. On the Provide A Password screen, provide a password for security purposes (and keep it in a secure location), and click Next. 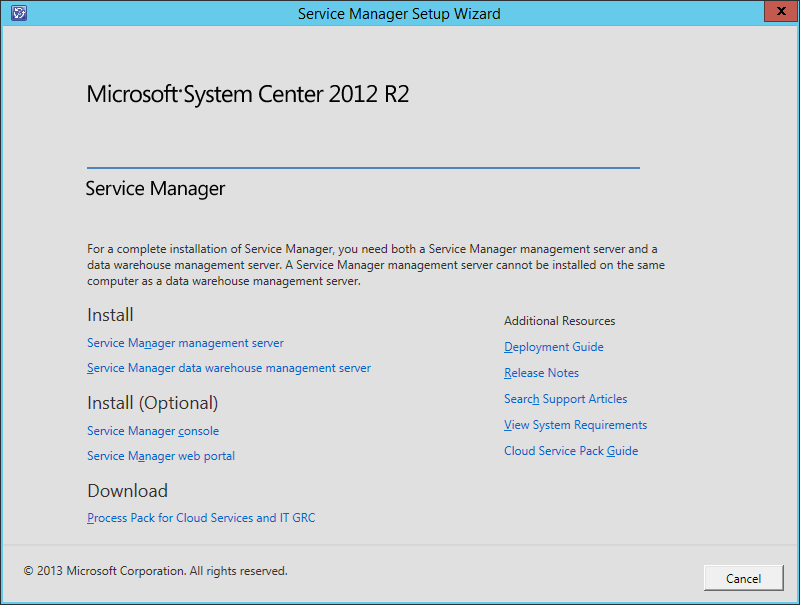 That completes the installation of Service Manager’s Management Server Technical Preview. 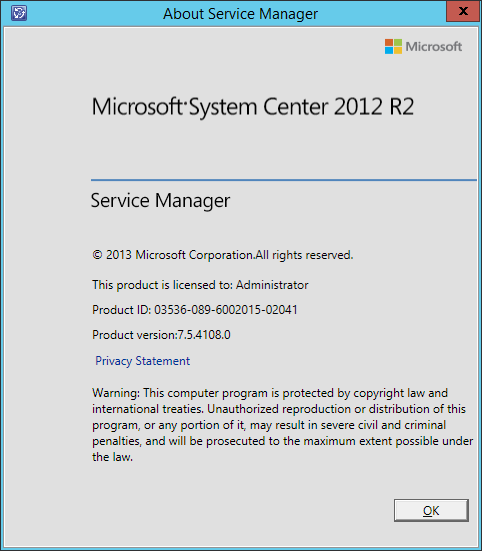 As you can see from the About screen, the version of SCSM, even though it shows “System Center 2012 R2”, the version is: 7.5.4108.0 (whereas the actual 2012 R2 product is version 7.5.3079.0). 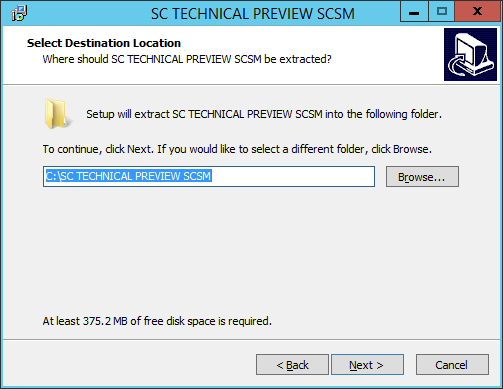 NOTE: The following features have been removed from the System Center Technical Preview, as per the following TechNet article: http://technet.microsoft.com/en-ca/library/dn806370.aspx. 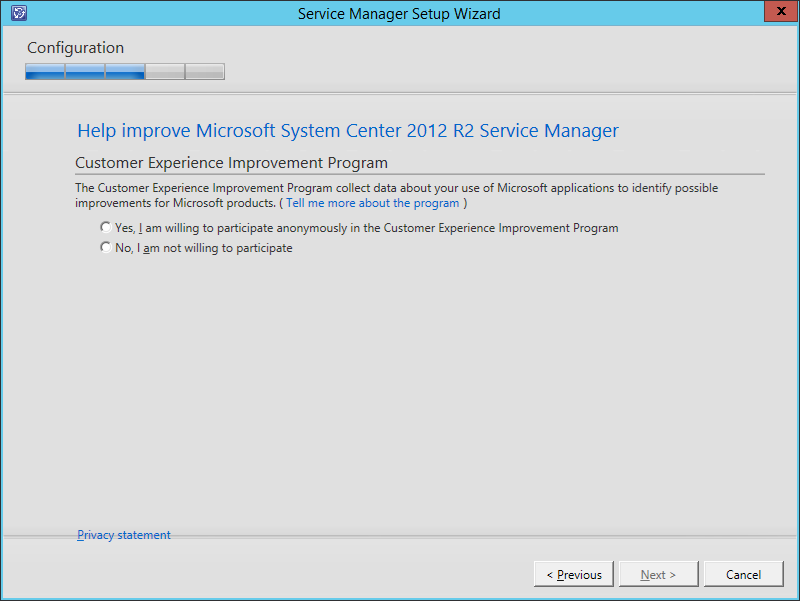 Status in System Center Technical Preview: Removed. Replacement: We recommend that you engage with proactive governance partners that can integrate into your current System Center investments. 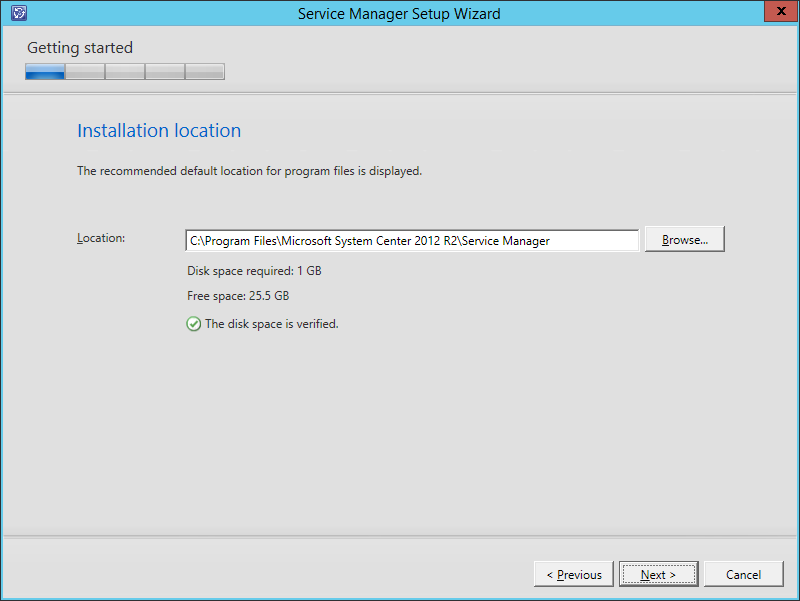 Replacement: Use Windows Azure Pack for Windows Server. 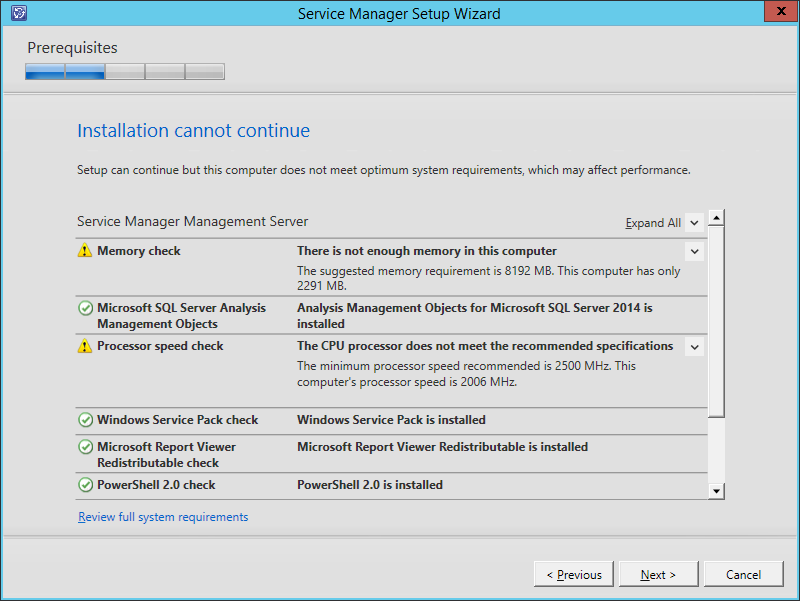 See the referenced TechNet article for workarounds.